Home Knowledge Centre Blog Employee Conduct What do employers need to be aware of and manage during Christmas celebrations? The ‘work’s Christmas do’ can be a great way to boost morale, celebrate a successful year and allow employees to let off some steam. However, the positive message can easily become a negative one if the event isn’t handled correctly by employers. Christmas is a Christian holiday, and so there’s a risk that employees of other religions may feel left out. When considering the details of the party, ensure that the food and drink choice caters for vegetarians and non-alcohol drinkers, and that food is labelled so there’s no risk of employees being confused. Consider what day would be best to hold a party on – for example, some religious groups don’t socialise on Friday night. Don’t pressure someone to attend if they choose not to on religious grounds. 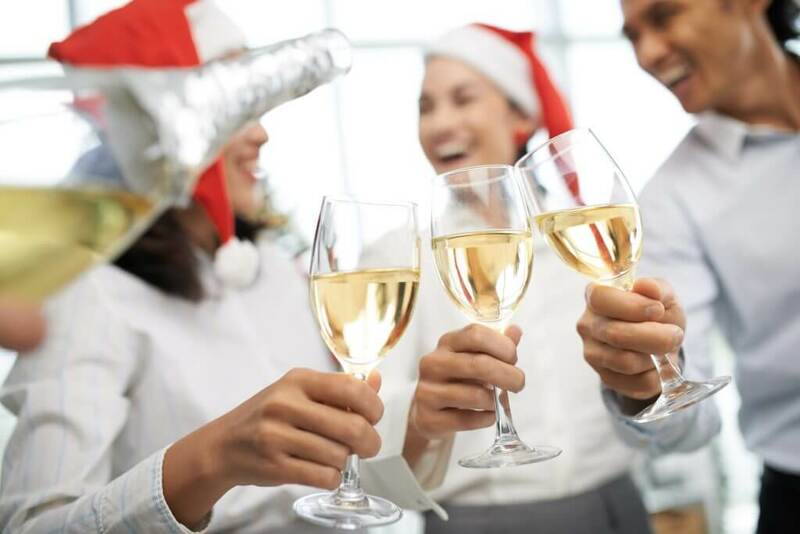 The work Christmas party may well be deemed an extension to the workplace and therefore, you should inform employees that certain standards of behaviour are expected. Although some rules will obviously be relaxed, clear written guidance should be provided to all employees that inappropriate behaviour will be dealt with as if it had been carried out in working time, and therefore disciplinary action could result. Be clear that under no circumstances will acts of aggression, bullying behaviour or harassment be tolerated. Whilst providing a free bar may seem an act of a generous employer, it will encourage excessive drinking and could be seen as condoning any unacceptable behaviour that may occur as a result of overindulgence. Consider whether this is really the best thing to do; a compromise may be found in offering the first drink for free, or allowing each table a free bottle of wine. Try to keep one designated non-drinker from management who can keep an eye on proceedings without spoiling any legitimate fun. If the day after your party is a working day, set out your expectation that everyone arrive on time and in a fit state to work. Try offering a free breakfast or an energy drink to boost performance but also be realistic, and don’t expect a high level of productivity! Overall, you need to reinforce your disciplinary rules to your employees, including those on lateness, sickness absence and unacceptable behaviour during the party. Even if the party is held away from normal work premises, you still have a duty of care towards your staff, and they must still stick to your rules.